Departments: Hard Drive Recycling Day is noon-4 p.m. Tuesday, Nov. 3, on the Manhattan and Salina campuses to help properly dispose of old hard drives from university computers. This service is free to K-State departments. A signed Hard Drive Recycling Day form is required for this service. 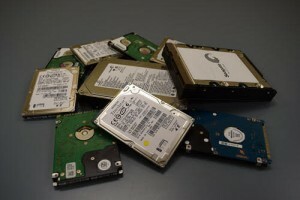 Departments should determine which records that are stored on the hard drives can be destroyed. Refer to the university’s Records Retention Policy and schedule, PPM Chapter 3090. Contact university archivist, Cliff Hight (785-532-3420, chight@k-state.edu) if you have any questions about the retention length of records. For more details, see the Oct. 19 article in IT News. Questions about this event should go to the Information Technology Assistance Center, 785-532-4918.